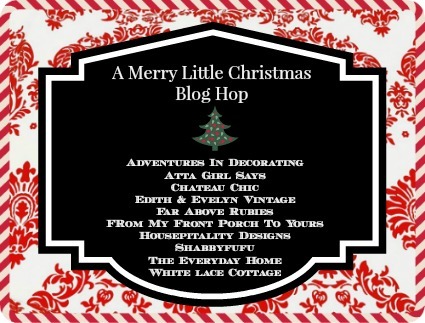 all as part of a "Merry Little Christmas Blog Hop," hosted by the fabulously talented Pamela from "From my Front Porch to Yours." While I *wanted* to share our entire great room today, a project involving IKEA Billy bookcases within camera shot prevents me from doing that. 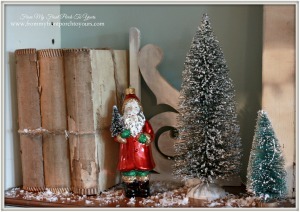 Sooooo, I'm simply sharing our mantel, in all of its holiday glory! 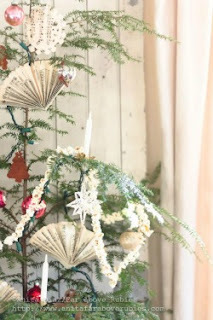 As always, I was a bit stumped how to decorate this year. Do you ever get "decorator's block?" I sure do, but thanks to Dollar Tree and Target (and the love of plaid this year), I was finally inspired. And, here it is ... dressed in crisp and classic red, white and green. 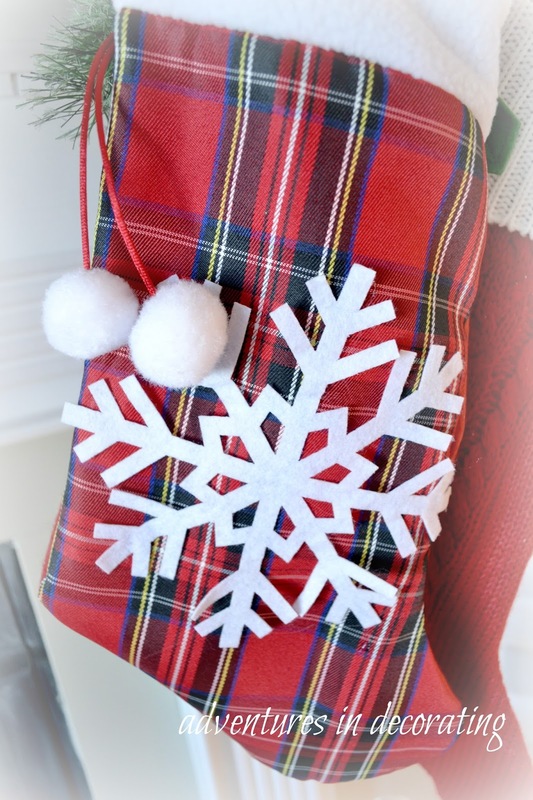 How cute is this plaid stocking from the Dollar Store? Plaid culprit no. 2 was this fun "Merry Christmas" banner from Target ... it came in one long banner, but I decided to separate the words and stack them to give it more "presence" in the center of the mantel. 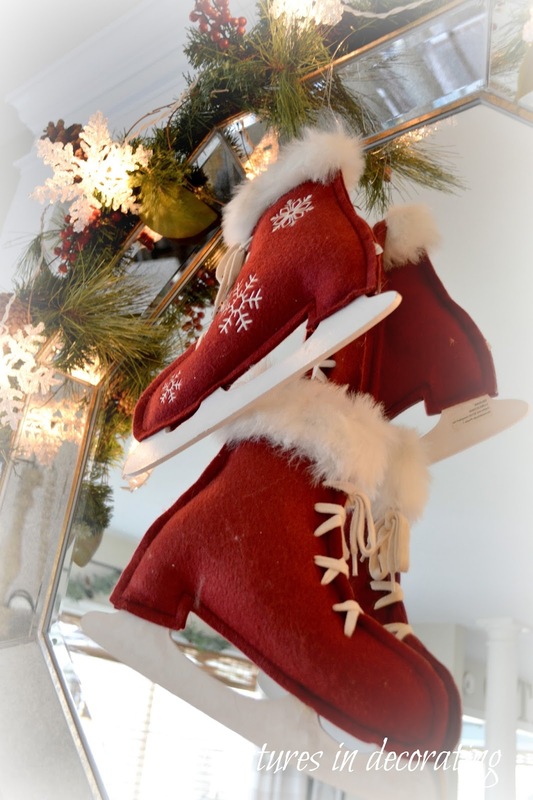 These felt ornamental skates have made their rounds in our home for several years ... this year becoming a focal point layered over our mirror. A white snowflake garland up above help to tie in with the snowflakes both on the skates and those that I tucked into the garland on the mantel. 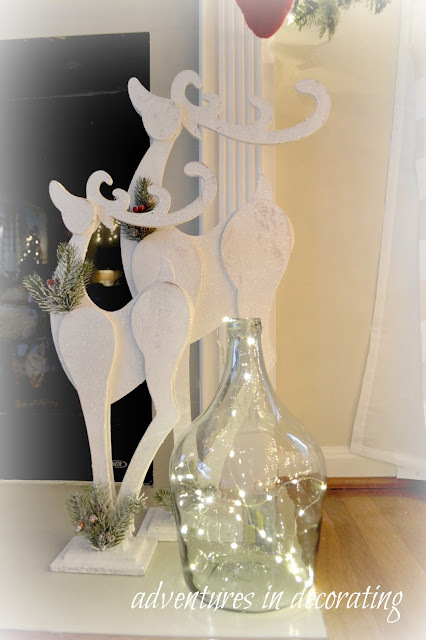 And, then there are the festive, glittery deer down below, paired with a glass demi that just "had to have" fairy lights floating around inside. 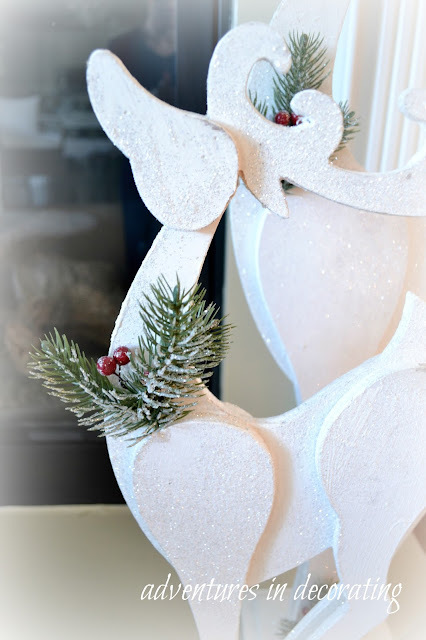 I've really enjoyed having our newly made DIY "mdf" white backdrop this year! I think it really helps all of the colors really stand out. Oh, and I can't forget this cutie ... I love vintage trucks and have seen them shared several times by bloggers, but they were truly "vintage" and hard to find. That is, until Target came out with their own version (yay)! I love it when the sun starts to go down and the lights truly take over ... just one of the many joys of the holidays! 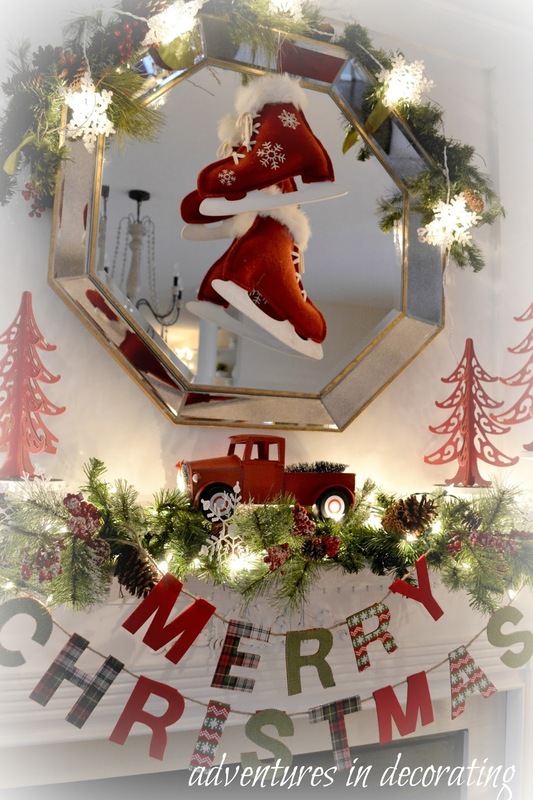 Thanks so much for visiting our Christmas mantel! Please be sure and visit these incredibly talented ladies ... you will certainly be inspired! Your mantel looks so cheery and festive for Christmas! Love the plaids which are popular this year. 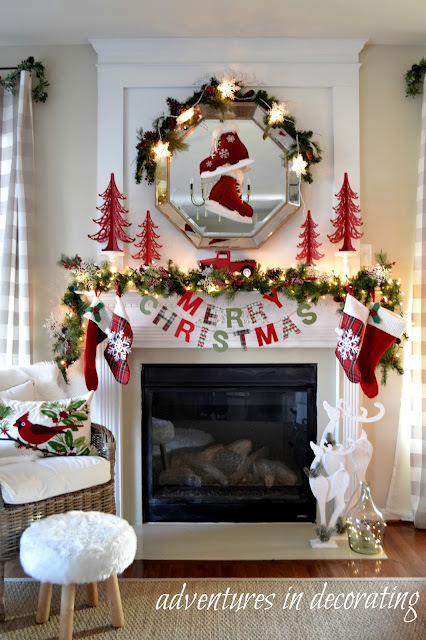 Oh you did it again....you created a most fabulous mantel. I remember the skates and love how you showcased them this year. I cannot imagine you getting decorators' block as your home and holiday decor is always over the moon gorgeous and creative! Great, great job Becca....Merry Christmas! Becca, your mantel is beautiful all dressed up for the holidays! I'm in love with that little red truck! So so cute, Becca as I knew it would be. You do the best fun mantels! Becca....it all looks great and those skates are the cutest things that I've ever seen! 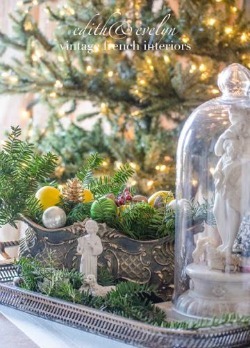 Becca, your mantel is magical! Beautiful! FUN! I love it all, and am wild for plaid this year too (and animal print!) I spent much more for plaid stockings for the guest room, wish I had seen these at the dollar store!!! !Love the felt skates too. Great job, as always!!!!! Becca, you home makes me smile, love the crispness of the red and green!! Fun, fun, Merry Christmas! Hi Becca! Oh, this is just the cutest! You are so good at making pretty in every place and room of your lovely home. Oh wow Becca, I love your mantel and all of your pretty decor. Those little skates are fabulous. Becca, your mantle is fabulous! I love the red plaid stockings and cute banner! Your truck is wonderful too! 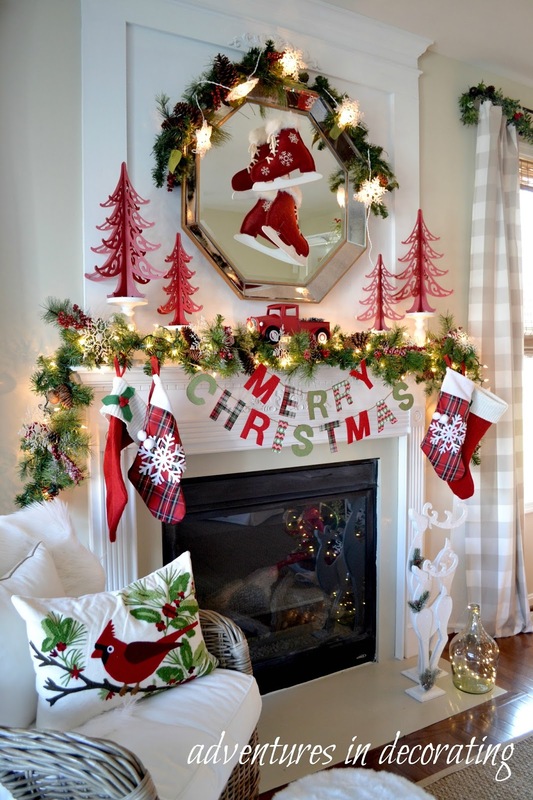 I love all the pops of red- a classic Christmas is one of my favorites! 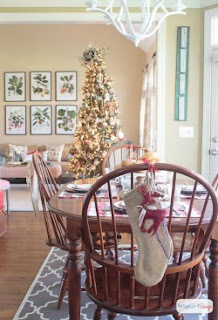 Becca, your home is so beautiful,cherry and bright.I LOVE how you decorated your mantel, your skates are so cute!!!! 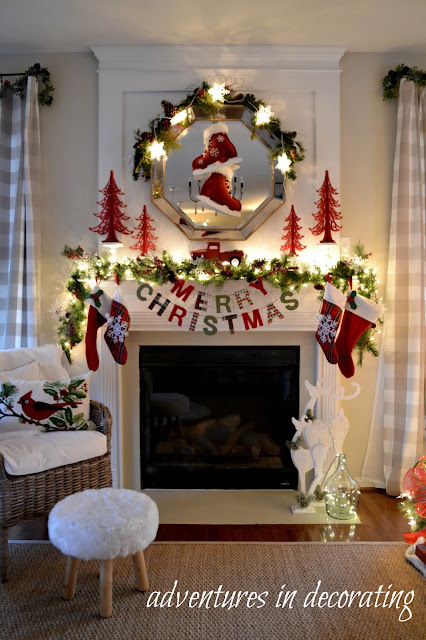 Becca - your home is so beautifully decorated for Christmas! I love it! Oh it is just so fabulous Becca!! Love the red against the white too. 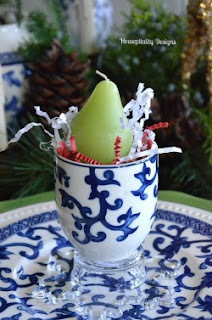 So pretty and festive!! Beautiful Becca! 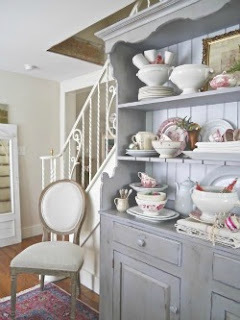 I always love seeing what you do with your mantel. I had a hard time thinking of something to do for our tree. Beautifully elegant! The little red truck is my favorite. just stop it! that mantel is so stinkin cute. You always do the best job at creating such a wonderful holiday home. Just lovely Becca! 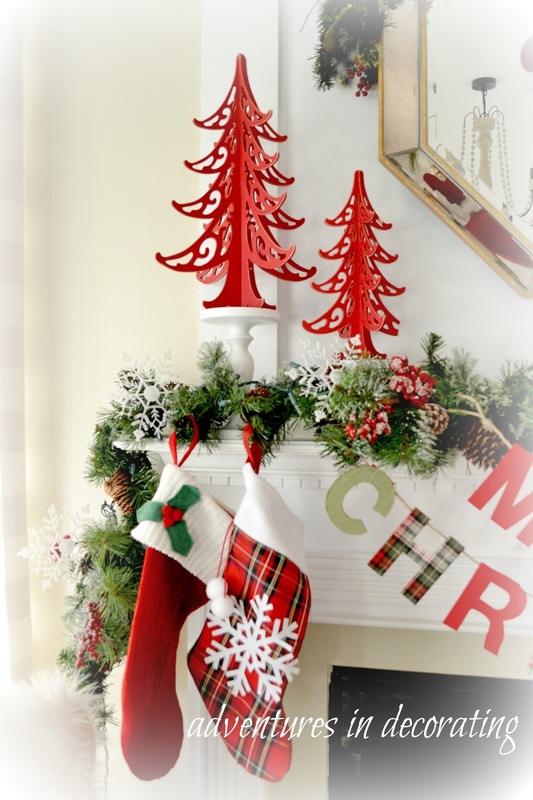 The mantel evokes festively and has a classic look with the colors and plaid. Best to you and yours this holiday. 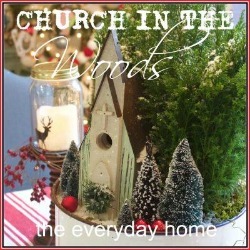 Your mantle looks so pretty and I adore those red trees. Your mantel looks awesome Becca. I love that it's so colorful and festive. Well done! Everything looks so festive and fun, Becca, as usual! Wow this is so cute. I can't believe you can find such cute stuff at the Dollar Store. I never have that kind of luck. Target is a good one too- love their sales. 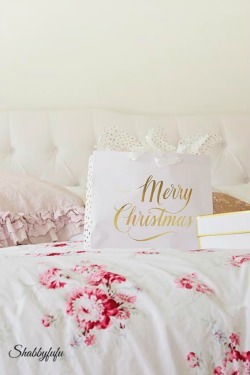 Love the Merry Christmas banner. 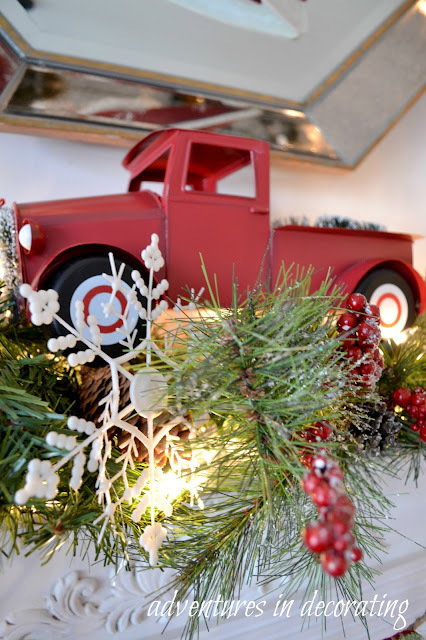 The little truck on top of the garland is adorable! It's so fresh and bright and happy and fun! I'm sure it makes you smile every time you look at it! the luxury items make a eve more amazing..